Makara Sankranti is one of the most celebrated festivals in India but astrologically, it is the day when Sun begins its movement away from the tropic of Capricorn and towards the northern hemisphere. That is why we notice Sun rising and setting slightly towards North-East and North-West respecitvely between mid-january to mid-july in every year. This period is called Uttarayan in vedic terms and it means uttar(north)+ayan(movement) of sun. Originally, this was celebrated as Winter Solstice in ancient India but later due to the fact that the solstices are continually precessing at a rate of 50″ / year due to the precession of the equinoxes, winter solstice now occurs at 21st december each year. Surya Siddhantha bridges this difference by juxtaposing the four solstitial and equinotial points with four of the twelve boundaries of the signs. In Vedas, Uttarayan is termed as day of gods (devas in heaven) and Dakshinayan is their night. This is very much similar to the 6 months day at north pole after winter solstice and 6 months night from summer solstice. 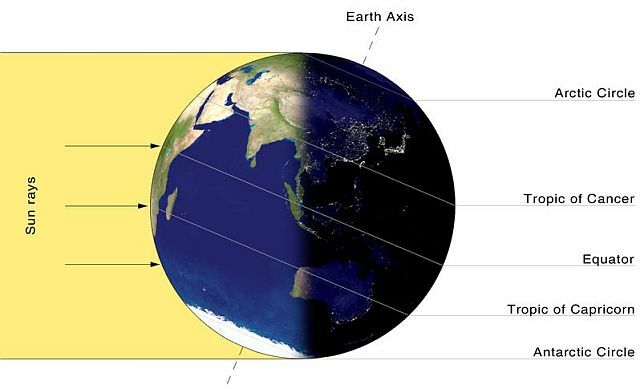 Uttarayana as the period between the Vernal and Autumnal equinoxes (when there is Midnight Sun at the North Pole). Conversely, Dakshinaya is defined as the period between the Autumnal and Vernal Equinoxes, when there is midnight sun at the South Pole. This period is also referred to as Pitrayana (with the Pitrus (i.e. ancestors) being placed at the South Pole). Usually when Uttarayana starts, it is a start of winter. When equinox slides it will increase ayanamsha and Makar Sankranti will also slide. In 1000 AD, Makar Sankranti was on Dec 31st and now it falls on January 14th; after 9000 years Makara Sankranti will be in June. It would seem absurd to have Uttarayana in June when sun is about to begin its ascent upwards i.e Dakshinayana. This misconception continues as there is not much difference between actual Uttarayana date of Dec 21 and January 14. However, the difference will be significant as equinoxes slide further. This year’s Makar (Capricorn), Sankranti (Sankraman = transmigration) occurs on 14th January 2014 at approximately 11 AM, IST (according to K.P Ayanamsa). 4.5 hours from this moment is called as Sankranti Punya Kaal Muhurta and Mahapunya Kaal Muhurta is only the initial 24 minutes from 11 AM. In vedic religion, God doesn’t have any shape and for us, time is manifestation of God. Vishnu or Narayana is worshipped through Sun God and this Sun’s equinoxes are celebrated as festivals. Vedic astrology personifies Sankranti. As per Vedic astrology Sankranti is 60 Yojana (approximately 432 Km) wide and long. Sankranti has figure of a man with one face, long nose, wide lips and nine arms. It moves in forwards direction but keeps watching backwards. It keeps revolving while holding a coconut shell in one hand. As per Hindu beliefs, the above personification seems inauspicious and hence Sankranti window is prohibited for all auspicious activities. However, the Sankranti duration is considered highly significant for charity, penance and Shradh rituals. People offer alms to needy, take bath in holy rivers and perform Shradh for ancestors during Sankranti. This year, Sankranti Purusha is causing threat to thiefs, war threat to few countries, defamation of few celebrities and politicians, lesser productivity of milk in dairy industry and diseases to cattle, increase in gold rate during second half of year, threat to north-east countries in globe and states in that direction, draught, increase of all commidities prices. From this Sankranti people will suffer from cough and cold, conflict among nations and chances of famine due to lack of rains. Good time ahead for cruel, sinful, corrupted people and criminals. Only small time theifs will be caught and punished. 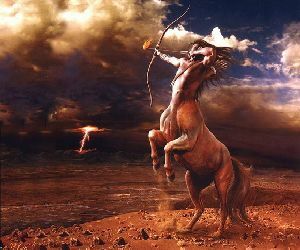 In general, Sun in Capricorn brings good luck, wealth and health for people born in Moon Signs and Ascendants of Pisces, Leo & Scorpio.